I find it really disappointing that there's a huge spoiler in the summary. I feel like I would have enjoyed the book more if I didn't know Sage's big secret going into the book. 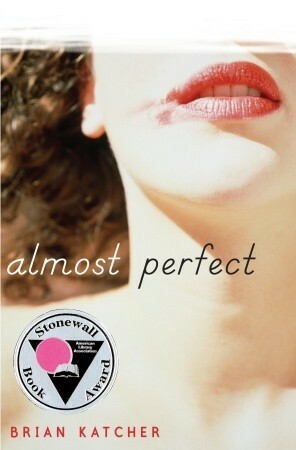 I have very mixed feelings about Almost Perfect. It was one of those books that I couldn't put down until I finished it, but there wasn't anything that was particularly amazing about it. I really wanted to like it more than I did. I'm not sure where it fell flat for me, but it did. Whole time I was writing that book my editor kept reigning me in, making sure I didn't give away Sage's secret. Then the publisher decided to include a rather major spoiler on the jacket. Every time I give someone a copy, i warn them not to read it (the summary, not the book). Thanks for taking the time to comment on my review and let me know who was responsible for my sadness. Haha.